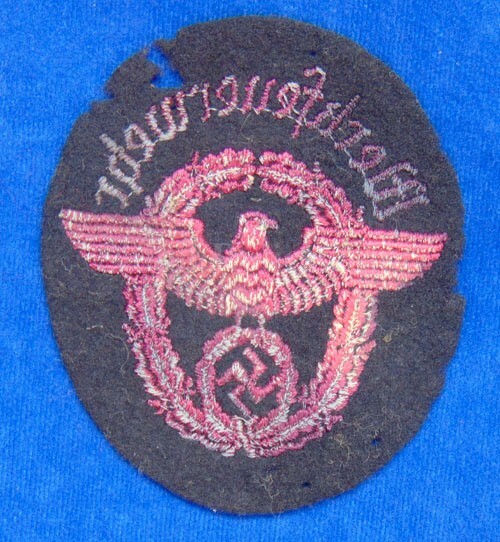 This is an original insignia patch from the Second World War. 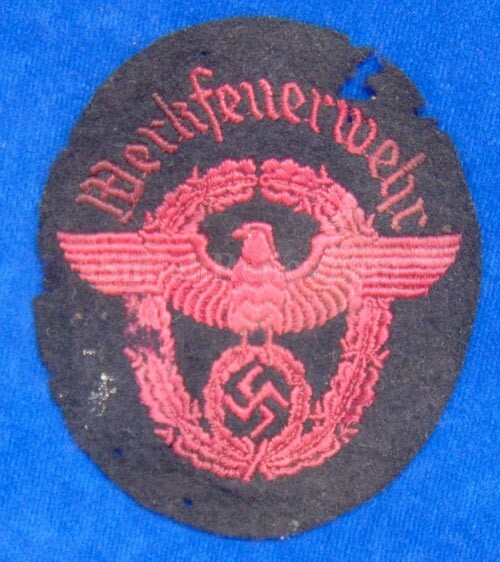 This is the Nazi patch that was designed to have been worn by the fire protection police. 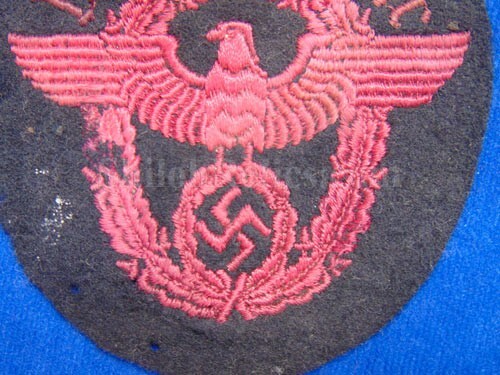 The pinkish red color of the eagle and wreath. 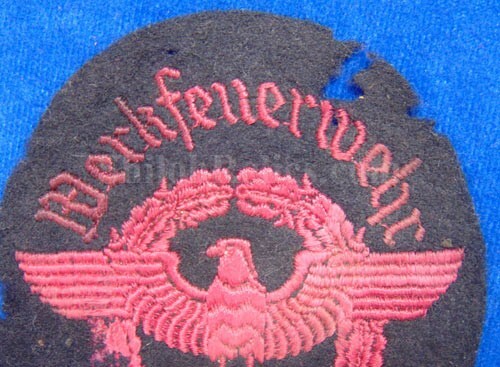 This one is in nice well worn shape as you can see in the images.